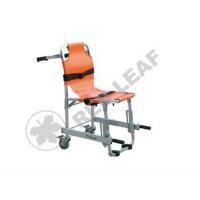 The main structure is made of high-strength aluminum alloy material. 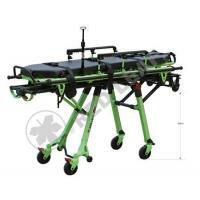 Both ends can be tilted, the height of the stretcher can be 16 different positions adjusted by holding down the handles. 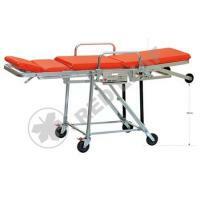 The stretcher equipped with safety switch to prevent mistake when loading to ambulance, only one people can push the stretcher to ambulance. 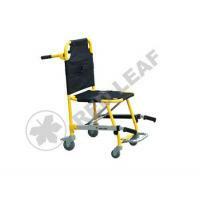 The backrest can be adjusted by pneumatic spring, it comes with safety belt, three-steps I.V.pole and inverted compound guard rail. 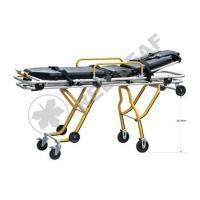 The upper stretcher is detachable from main stretcher through lock button controlled separation and lock. 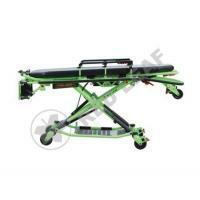 The upper stretcher is equipped with telescopic handles on both ends for easy to carry. 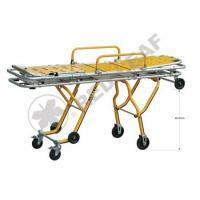 The stretcher equipped with elastic wide tires wheels, when transporting on complex road the four universal is much stable. 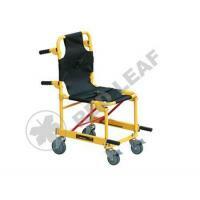 The front of two universal wheels could be straight lock or universal rotation according to needs; the back of two universal wheels with brake.The fixed device is whole type when stretcher loading to ambulance and then fixed together, the device which could assure the stretcher on correct position in ambulance, it is fixed by three points to assure safety and stable. 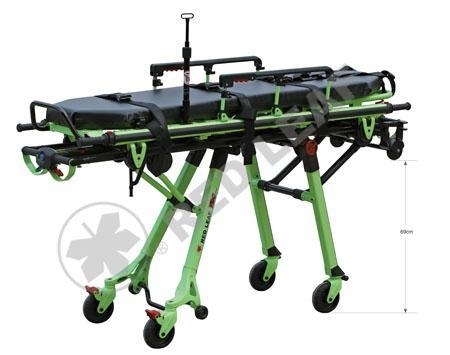 Jiangsu Rixin Medical Equipment Co., Ltd, founded in 1991, is specializes in inventing and manufacturing stretchers, first aid supplies, and rehabilitation physiotherapy equipments. 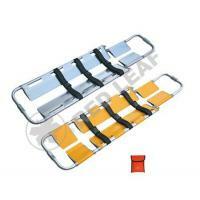 Emergency stretcher series: we have more than 100 varieties of foldable stretchers, ambulance stretchers and first aid products, we also have cervical collar, head immobilize, first aid kit etc. 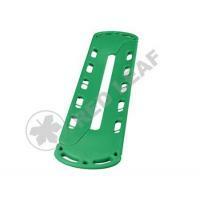 Our annual production capacity of first aid series is over 200,000 pcs. Rehabilitation physiotherapy series: we have lumbar traction beds, fumigation beds, massage beds, limb training and hydrotherapy etc, over 80 varieties. Our annual manufacturing capacity is over 30,000 units. Company registered capital is 25 million CNY, and the construction area is 42,000 square meters, owning more than 200 staff. We are National High-tech Enterprises with design & development, manufacturing, product testing, and sales & service abilities. Our company has more than 60 patents and we continue to develop new products. For many years we have supporting cooperation with many Class 3A comprehensive hospitals, community health centers, fire services, airport, rescuing, military hospitals, first aid centers and sports events, we also take part in international project procurement, and got a favorable reception from clients. Our products are selling over 70 countries. Our products have passed TUV, CE, EN certification, FDA certification and ISO: 13485 quality system certification. RED LEAF is named the title of famous trademark, and has been successfully registered in over 50 countries. We have been for ten consecutive years as the contract and trustworthy enterprise, consumer confidence demonstration company and AAA credit enterprise.